Dietary advice about fats and the risk of heart disease is called into question on bmj.com as a study shows that replacing saturated animal fats with polyunsaturated vegetable fats is linked to an increased risk of death among patients with heart disease. Advice to substitute vegetable oils rich in polyunsaturated fatty acids (PUFAs) for animal fats rich in saturated fatty acids (SFAs) to help reduce the risk of heart disease has been a cornerstone of dietary guidelines for the past half century. The most common dietary PUFA in Western diets is omega-6 linoleic acid (n-6 LA for short). UK dietary recommendations are cautious about high intakes of omega 6 PUFAs, but the American Heart Association recently repeated advice to maintain, and even to increase, intake of omega 6 PUFAs. This has caused some controversy, because evidence that linoleic acid lowers the risk of cardiovascular disease is limited. An in-depth analysis of the effects of linoleic acid on deaths from coronary heart disease and cardiovascular disease has not previously been possible due to missing data from the Sydney Diet Heart Study - a large randomised controlled trial conducted from 1966 to 1973. But now, a team of researchers from the US and Australia have recovered and re-analysed the original data from this trial, using modern statistical methods to compare death rates from all causes, cardiovascular, and coronary heart disease. Participants were randomly divided into two groups. The intervention group was instructed to reduce saturated fats (from animal fats, common margarines and shortenings) to less than 10% of energy intake and to increase linoleic acid (from safflower oil and safflower oil polyunsaturated margarine) to 15% of energy intake. Safflower oil is a concentrated source of linoleic acid and provides no other PUFAs. The control group received no specific dietary advice. Both groups had regular assessments and completed food diaries for an average of 39 months. All non-dietary aspects of the study were designed to be equal in both groups. The results show that the linoleic acid group had a higher risk of death from all causes, as well as from cardiovascular disease and coronary heart disease, compared with the control group. The authors then used the new data to update an earlier meta-analysis (a review of all the evidence). This also showed no evidence of benefit, and suggested a possible increased risk of cardiovascular disease from replacing saturated fat with omega-6 linoleic acid. 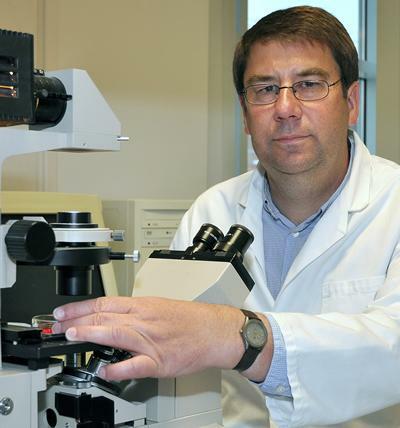 In an accompanying editorial, Philip Calder, Professor of Nutritional Immunology at the University of Southampton and from within the National Institute for Health Research Biomedical Research Centre at University Hospital Southampton NHS Foundation Trust and University of Southampton, says the new analysis of these old data "provides important information about the impact of high intakes of omega 6 PUFAs, in particular linoleic acid, on cardiovascular mortality at a time when there is considerable debate on this question." The findings argue against the "saturated fat bad, omega 6 PUFA good" dogma and suggest that the American Heart Association guidelines on omega-6 PUFAs may be misguided, he says. They also "underscore the need to properly align dietary advice and recommendations with the scientific evidence base."